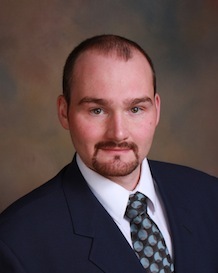 Today, the Maryland State Police certified Chief Counsel Joshua Prince, of the Firearms Industry Consulting Group® (FICG®), a division of Civil Rights Defense Firm, P.C., as a qualified handgun instructor for the state of Maryland, which permits him to instruct Handgun Qualification License applicants and Handgun Wear and Carry applicants. As many of our viewers are aware, Chief Counsel Prince recently took the grueling Maryland Bar Exam to begin practicing firearms law and defending the Right to Keep and Bear Arms in the state courts throughout Maryland. He also looks forward to working with the Legislature to amend Maryland’s Constitution to provide an explicit state constitutional right to Keep and Bear Arms, since the Maryland courts have previously held in Scherr v. Handgun Permit Review Board, 880 A.2d 1137 (Md. Ct. Spec. App. 2005) that Article 28 of the Maryland Constitution does not provide an individual right. Please join us in congratulating Chief Counsel Prince on this achievement! Firearms Industry Consulting Group® and FICG® are registered trademarks of Civil Rights Defense Firm, P.C.